If, after reading the previous chapter on ULD storage, you felt as if there could be nothing more to learn, then this chapter about moving ULD may prove surprising to you. While there are some common principles between the processes of storing and moving ULD, there are some important additional elements to be observed for moving ULD. These elements require careful and proper attention if ULD movement is to go as planned, and damage or error is to be avoided. The movement of ULD in a cargo terminal with limited fixed infrastructure. This typically involves more manual operations, such as collecting ULD from storage, placing ULD in the build-up area, moving ULD back to storage, and more. The transportation of ULD, either full or empty, around an airport area. In general, this will use a dolly, but some airports have special purpose vehicles that are also utilised. The transportation of ULD on public roads. These days, this is a common activity that is carried out using a wide range of vehicle configurations. All three types of movement expose ULD to forces which, if not accounted for with correct equipment and procedures, will almost certainly lead to damage to the ULD, its contents, or both. The situations and locations in which ULD are moved around can vary from ultramodern, highly-automated cargo terminals where human hands hardly touch the ULD, to less sophisticated but still well-managed and equipped terminals, right through to facilities where pallets are built up in the open air and forklifts are the only handling devices available. No prizes for guessing which of these situations contribute to the greatest amount of damage to ULD! 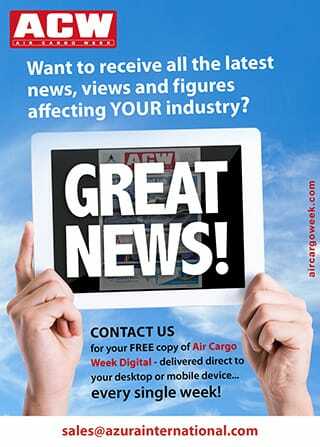 While it would be easy to blame the shortcomings of any particular cargo terminal on uncontrollable factors, this would be avoiding the issue. There is no reason that ULD should fall victim to the dangers of an inadequate terminal. Where a facility employs advanced infrastructure and automation, then the human error factor plays a much smaller role. On the other hand, where a facility relies far more on human labour, a much greater degree of management oversight, training, and supervision is necessary. Moving ULD around in any kind of facility always requires a degree of awareness: awareness that ULD may only be moved using approved methods, awareness that ULD may be damaged if moved incorrectly, and awareness that damage to ULD has significant consequences. 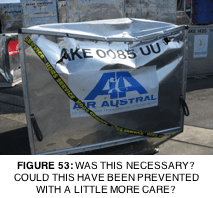 If this awareness is embedded in all facility operations, then ULD movement can be transformed from a ‘dodgem car’ scenario to one more appropriate for working with aircraft equipment. Forklifts are a common sight around cargo facilities. They are, of course, necessary for moving cargo, but when it comes to moving ULD, it is another story. 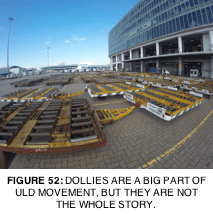 As previously mentioned, unless fitted with a forkliftable base or positioned on a slave pallet, ULD will always be vulnerable to mishandling by forklifts. The problem is not the forklifts themselves, but the standard of their operation. 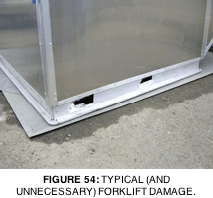 All too often, the deployment of forklifts to handle ULD is done without the requisite degree of care and attention, and the result is damage to ULD. The IATA ULD Regulations do permit movement of empty ULD by forklift, and with due care and attention, this can be done without harm. Indeed, brand new containers, immediately after being assembled (often on a concrete floor), will be picked up by a forklift and placed on a dolly or vehicle for delivery. A customer will receive a ULD in perfect condition, because the assembler knows that otherwise, they will be responsible for any damage. The significantly less careful application of forklifts that takes place in some cargo facilities is where a large portion of ULD damage occurs! The below table provides guidance for the appropriate use of forklifts to move empty and built-up ULD.